During my week of château visits to inspect the 2017s in barrel, there was of course one significant, recalcitrant property whose wines will not be released onto the Place de Bordeaux this late spring. Château Latour withdrew after the 2011 vintage, since when they have embarked upon a series of bi-annual mature vintage releases, commencing with stock held in reserve during their respective en primeur campaigns. The latest trio includes 7,000 cases of the 2012 Les Forts de Latour, the first time that the property has released a wine hitherto not commercially available. It will be interesting to see how it fares in the market, although the real litmus test will be the market reaction to the maiden release of a Grand Vin post 2011. Funnily enough, when I originally tasted the 2012 Les Forts de Latour from barrel I never attached a score. As I quipped to Frédéric Engerer at the time: what is the point of rating a wine when consumers will not taste it until an undesignated point in the future? I might as well wait. As it turned out, I waited five years. After that vintage I have reviewed the wines because consumers wanted to see the scores for all five First Growths, even if they will have to be patient for one. 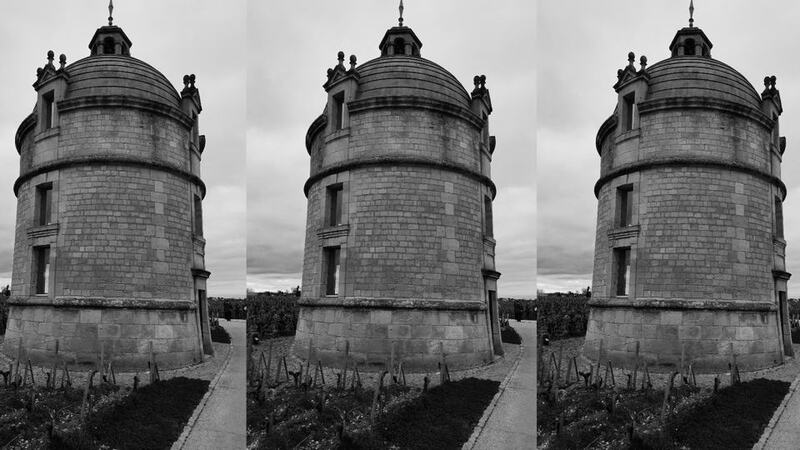 All three releases have something to offer winelovers, whether they wish to splash out on the 2006 Latour, one of my pick of the Left Bank wines ever since I first tasted it from barrel, or the Forts de Latour or Pauillac. The 2006 Grand Vin was recently released to négoçiants at €450/bottle, which equates to around a 15% premium against current market prices. The 2012 Les Forts de Latour has blossomed in bottle, like a majority of wines that growing season, and was just released at €145/bottle. Finally, there is the 2013 Le Pauillac de Latour, a maligned vintage that may surprise those who erroneously dismiss this season out of hand, which is distributed directly to customers by the château. The 2006 Latour is a blend of 86% Cabernet Sauvignon, 12% Merlot, 1% Cabernet Franc and 1% Petit Verdot. It is a vintage that I have followed closely since first tasting the wine from barrel, both in sighted and blind conditions. The 2006 has long been one of the best offerings from the Left Bank and this bottle was consistent with previous notes. It retains a disarming sense of purity on the nose: blackberry, raspberry, cedar and pencil shaving scents that seem to burst from the glass with a sense of vim and vigor. There is an underlying ferrous note, signs of secondary scents emerging over the horizon. The palate immediately exerts an insistent grip in the mouth, maybe a touch more backward than I expected. But it still conveys a sense of energy and there is a sense of brightness that Latour does not necessarily always possess. Laden with black fruit, with aeration it leans more towards red and manifests impressive depth allied with a fine bead of acidity that imparts mouth-tingling tension. In banal terms, it is an unashamedly “drinkable” Latour rather than one predisposed to impress and though it does not offer the persistence of giants like the 2005 or 2010, its joie de vivre will be appreciated by those tempted to splash out on one of around 4,000 cases kept back from its original release. 94/Drink 2018-2045. Though I tasted the 2012 Les Forts de Latour, a blend of 76% Cabernet Sauvignon, 22% Merlot and 2% Petit Verdot, during en primeur back in 2013, this marks the first commercial release for this vintage. It boasts devilishly attractive pencil lead bouquet with blackberry, bilberry and a light sea spray influence. The palate is clean and fresh with very fine, almost edgy tannins. The precision here is undeniable, a tensile Les Forts de Latour that similar to many 2012s has blossomed during its bottle maturation. There is a mote of signature Pauillac mintiness that pop up towards the persistent finish, completing an assured Les Forts de Latour that might tempt those whose pockets are not deep enough for the co-released 2006 Latour. 91/Drink 2018-2035. The 2013 Pauillac de Latour comprises of 45% Merlot, 54% Cabernet Sauvignon, and 1% Cabernet Franc. It was born in a derided vintage, but as I remarked to Frédéric Engerer, serve this vintage on its own and there is nothing offensive about many of these wines. This troisième vin has a fresh bouquet with an almost Burgundy-like purity. The palate is medium-bodied with supple tannin that lends this an approachable rounded texture. There is plenty of black cherry and redcurrant fruit complemented by a touch of spice towards the finish. 88/Drink 2018-2024.